It’s a new, startling labor trend in one of the strongest job markets in 19 years: “ghosting.” Once a term used primarily in the dating world to describe love interests who mysteriously disappear and stop communicating, ghosting is increasingly happening at work. Candidates don’t show up for job interviews or once offered a job, fail to appear for their first day. Employees quit without notice. There are no explanations given and an employer’s attempts to reach the person are fruitless. The problem is happening across all industries and pay levels. Why would people choose to disappear rather than simply let an employer know they are no longer interested in a position, or if already hired, give the standard two weeks’ notice before quitting? Some individuals get a better offer somewhere else and simply don’t want to deal with an awkward conversation with a recruiter or hiring manager. 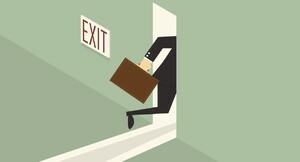 For others who dislike their jobs or their bosses, quitting without notice is a form of revenge. For some people who have applied for jobs or had interviews and then never heard back from a potential employer, or for those who have been suddenly laid off, the turnabout is fair play. Many employers have been ghosting job applicants for years. However, regardless of the reason, ghosting can come back to haunt the person later (pun intended.) For one thing, it truly is a small world. Just as in the dating scene, the ghosted party is left wondering what happened and may naturally feel disappointed and angry. Burning bridges can bring career consequences in the future, as employers are likely to remember the “ghost” for a long time to come. People talk, and it’s impossible to know who is connected to whom. Perhaps the next potential employer will get wind of what happened. At best, the behavior is unprofessional and at worst, can be perceived as cowardly or malicious. Perhaps the silver lining in this new trend is that ghosting has gotten employers’ attention and in some cases, has led to positive changes in hiring practices. For example, Johnson & Johnson has implemented a new platform for job seekers that lets them know where they are in the recruitment process and provides feedback so they know where they stand. High turnover rates have also prompted some companies to examine their culture, management style, and pay grades. Nevertheless, ghosting – whether it happens to employees or employers – is disconcerting and a potential reputation-killer.